In many ways it is a weird time to be a Chicago Cubs fan in 2019. In the late hours of a fall November night two and a half years ago, we saw the impossible unfold – something our parents had never seen before and something many of our grandparents never did. We felt our entire city breathe a collective sigh of relief. The Lovable Losers won the World Series. Our team won a ring. 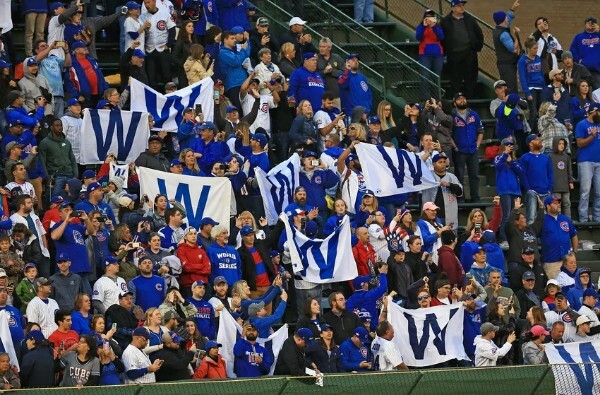 Ask any Cubs fan and they’ll tell you it still doesn’t get old saying that. But two seasons removed from the euphoria of the 2016 triumph, what else is there to look forward to? More rings? After so much suffering, does hoping for sustained success make us (dare I say it) selfish? If we start winning too much, does that make us like Yankee fans? I couldn’t bear the thought of it. But the important question remains. Where does a fanbase go after the most joyful and climatic event in franchise history has already occurred? Have no fear Cubs fans. After two additional years of fun, frustrating, and ultimately ring-less baseball, I’m here to tell you that it’s okay to go back to the drawing board: This. Is. The. Year. Let’s rewind a bit. The 2018 season was full of plenty of amazing stories and moments. We got to see Javier Baez in his first true breakout season, competing for the top spot in the National League in home runs and RBIs and dazzling us with a reel of fielding and sliding highlights that justified the feisty Puerto Rican’s nickname of “El Mago,” or “The Magician.” The NL MVP would have easily been his had Christian Yelich of the Milwaukee Brewers not played at demigod status (.326 BA/.402 OBP/.598 SLG) at the exact same time. Anthony Rizzo got out of an early April and May funk to return to his normal rock-steady self at first base, while Jon Lester had an extremely serviceable year with an 18-6 record and 3.32 ERA. The midseason acquisition of Cole Hamels felt like the clock had been turned back to 2011, and the 35-year old gave the team a much-needed spark of veteran leadership and long outings that were badly needed at the time. And who could forget David Bote’s walk-off golden grand slam against the Nationals while down three runs with two outs and two strikes in the bottom of the ninth on August 12? But the narrative of 2018 – and the hope of what 2019 should not look like – can be summed up with two glaring problems: untimely injuries and unreached potentials. Third baseman and 2016 NL MVP Kris Bryant injured his shoulder sliding into first base (why anyone does this at the professional level is infuriating and beyond me) on June 22 and was out for over a month on two trips to the disabled list in June and July. His return seemed rushed, his swing never looked comfortable, and his power numbers never returned. Yu Darvish, the big free agent signing of last offseason, made just eight starts before being shut down with a nasty elbow injury. And newly-signed closer Brandon Morrow ended his season with a back injury in late June…by taking off his pants. Tyler Chatwood, signed for a three-year $38 million-dollar deal, walked 95 batters in 20 starts before a stint on the DL in August effectively ended his year. Even notable players who were healthy didn’t seem like themselves. While Kyle Schwarber worked hard to prove himself as an everyday left fielder, Albert Almora, Jr. struggled to claim a similar starting spot in center field with a terrible second half and low production against right handed pitching. Fiery Venezuelan catcher Willson Contreras’ power numbers plummeted off a cliff (.249/.339/.390 in 138 games) and – despite having one of the best arms in baseball – struggled to master his primary job requirement of framing pitches in the strike zone. Even after entering the All Star Break tied for the best record in the National League the injuries and absences began to rear their ugly head when the Cubs played 42 games in 43 days and saw a six-game lead in the division in August evaporate by the end of September. A tiebreaker Game 163 loss to Milwaukee at Wrigley Field (it hurt seeing the Brewers celebrate on our field) sent the Cubs to the National League Wild Card game against Colorado the next day. Jon Lester on the mound and a playoff atmosphere at Wrigley should have been enough for the team to limp into the Divisional Series, but the game was ultimately a representation of the entire season: an agonizing 2-1 loss in 13 innings that never once felt it was the Cubs’ to win (they managed six total hits and only one with a runner in scoring position). President of Baseball Operations Theo Epstein came out swinging in his end of year press conference, stating that the offense “broke” in the second half (which is true, because the team led Major League Baseball in games in which they scored one run or less, with 40!) and that all options would be on the table to correct things for next year. Winter rumors of free agent superstars Bryce Harper or Manny Machado heading to Chicago never reached above a whisper. The clamoring for another bat in the lineup to prevent a repeat of the second half of 2018 fell on owner Tom Rickett’s deaf ears, who inexplicably (and in my opinion, inexcusably) decided to publicly claim during Cubs Convention that the team had no money to spend. Never mind the fact that Ricketts’ net worth is $900 million or the fact that the team’s value has increased by $2.2 billion since he bought the team in 2009 for $700 million from Tribune Company. Choosing not to spend on this year’s free agent market or not believing that Bryce Harper was worth the cash are perfectly reasonable opinions to have – but his decision to go with a non-answer will not win him any support in the fanbase. So, about 2019. Let’s face it: there are plenty of concerns still abound heading into this season. The bullpen lacks a second lock-down arm with Brandon Morrow still injured and veteran set-up man Pedro Strop getting old. Manager Joe Maddon is in the final year of his contract and hasn’t been extended, which could cause uncertainty or drama in the clubhouse depending on what Theo says to the press about his future during the season. Albert Almora hasn’t proven himself to be an everyday leadoff center fielder due to his atrocious batting average against righties (.279). While I love him to death, Jason Heyward is still not worth what the team is paying him and can’t be expected to suddenly play up to his insane $184 million-dollar contract overnight. Outside the borders of Chicagoland, the rest of the NL Central Division has gotten a whole lot better. St. Louis signed and then extended free agent first baseman Paul Goldschmidt, a legitimate All Star. The Cincinnati Reds, the perennial bottom-feeder of this decade, added Matt Kemp and Yasiel Puig in a trade with the Los Angeles Dodgers, as well as pitchers Tanner Roark, Sonny Gray, and Alex Wood. Series against the Reds are no longer times to rest starters and recharge for decent opponents later in the week – they are a decent opponent at this very moment. The Central has four (potentially five) quality teams and the race for the division crown will be a bloodbath. It could very likely send three teams to the playoffs, none of whom have more than 92 or 93 wins. But I’m a Cubs fan, so let me infuse some hopeless optimism into this discussion. We are still the team to beat in the National League and this is still one of the most talented rosters in the history of the franchise. If the core position players come close to matching 2016 numbers (or in Baez’s case, matching last year) there’s no reason to believe why the team isn’t back in the playoffs again – possibly with a division title. It’s important to remember that they won 95 games last year with a shell of their true potential and a brutal injury record. The team has ambitious ownership that refuses to accept mediocrity like the Tribune Company did for so many decades, and a general manager unafraid to make mid-season roster changes if things aren’t going well. A healthy Kris Bryant and Yu Darvish will feel like adding two superstars to a 2018 team that badly needed star power in pitching and hitting. And the hangover of the 2016 World Series is officially gone, for players and fans alike, which should no doubt motivate the team to prove that they are still championship caliber. Oh, and controversial hitting coach Chili Davis who clashed with players all season on hitting approach was fired by Theo a week into the off season. A starting rotation of Lester, Darvish, Kyle Hendricks, Jose Quintana, and Cole Hamels is legitimately elite on paper. Kris Bryant and Javier Baez are generational talents who are each capable of putting the team on their back. Add in productive seasons from Rizzo, Contreras, and Schwarber and we’re looking at five 25-home run players on one roster. This team has the starting pitching staff to lock down wins during the second half as well as deep into the playoffs, and the offense to string runs together in a hurry when playing loose and with confidence. The only question is whether both will happen at the same time. John Bleed is policy adviser living in Washington, D.C. He is a native Chicagoan and Cubs fan.